F-ve Dolls( Korean :파이브돌스; sometimes stylized asF-VE DOLLS, formerly known as5dolls) is the female sub-group of the South Korean dance-pop group Coed School . They debuted with two single tracks "Lip Stains" (입술자국) and "I Mean You" (너 말이야). In December 2010 Co-Ed School broke into sub-groups. The female members (with the addition of a new member, Seo Eun Kyo), became F-ve Dolls. Time To Playon May 11, 2011 with their lead single "Like This Or That" (이러쿵 저러쿵); releasing the music video on the same day. "Like This Like That" stands as the highest selling song for a rookie of 2011 with $192,000 USD grossed. On July 31 2013, their first digital single "Since 1971" was released with the music video of "Soulmate #1", the title track of the digital single. The song charted 62 on the Gaon Chart & 44 on the Billboard Korea Hot 100. 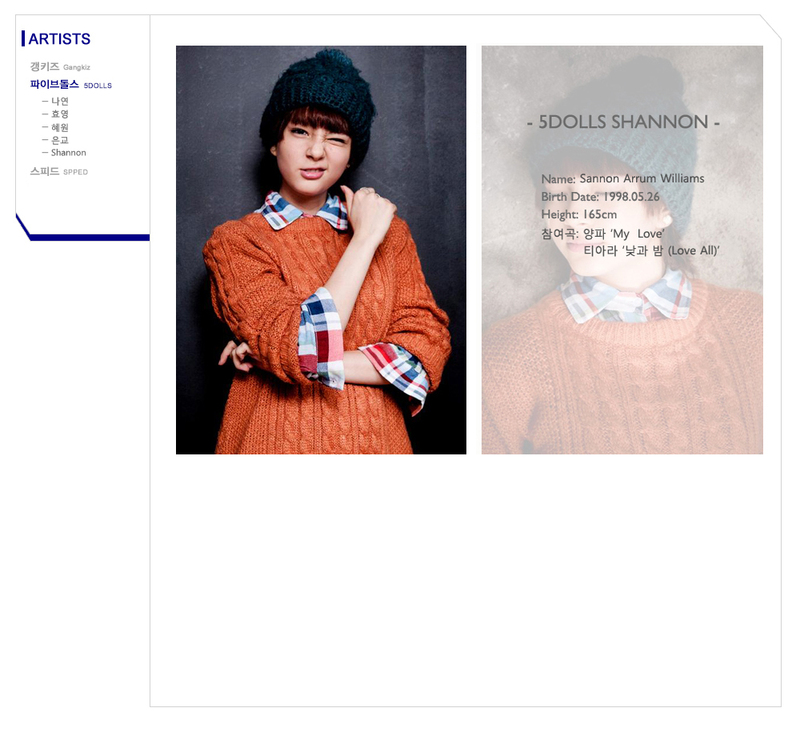 F-ve Dolls promoted "Soulmate #1" from July 31 through September 1 2013. F-ve Dolls followed-up promotions with a new mini-album called "First Love". The song was performed on September 12 2013, while the mini-album was released on 17 September 2013. The title song of their new mini-album is called "사랑한다 안한다". the English title is "Can You Love Me?". The song features new T-ara N4 member Kim Dani making it her debut. On 17 September 2013, a 2nd version of the "Can You Love Me?" music video was released and so also a music video for the song "Deceive" which was in their new mini-album was released as well. (Korean) ":: 가온차트와 함께하세요 ::". Gaon Chart. Retrieved November 6, 2010.